Check out some of the fabulous packages we have on offer or alternatively book into our showroom for a consultation to see all the products and discuss your ideas and theme to create your very own package that suits your every need. 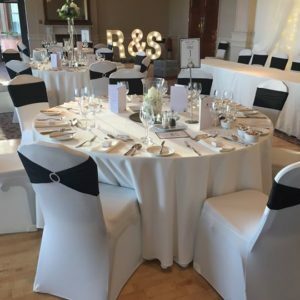 New prices for 2019/2020 Weddings or Parties, Delivery is free of charge up to 30 miles radius from our showroom in lurgan. Additional numbers can be added for £5 pp. Additional entrance drapes, larger backdrops and led dance floors can be added on request. 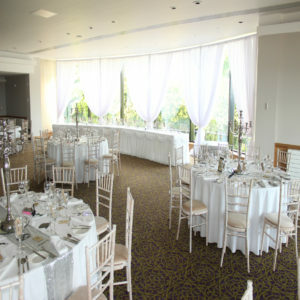 We also offer full room drapes, room separation drapes, tunnels, stair swags. Please get in touch for more details, to check availability or to make an appointment for our showroom in Cido Lurgan. 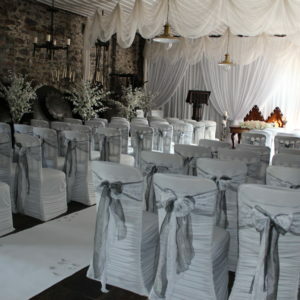 Upgrade to Chiavari Chairs for £1 Per Person! 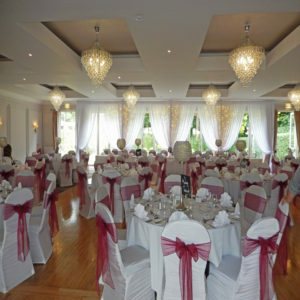 Chair Covers c/w choice of sash or diamanté band. We can cater for larger numbers on request and up to 24ft in the white led dance floor. There is an extra charge of £50 for a 16ft Black led dance floor. ****Upgrade to a Selfie Mirror for an extra £50****. Additional total of lanterns and blossom trees may be added on request. Terms & Conditions. Delivery is free of charge within a 30 mile radius from our Showroom. If cancelling a package all deposits & payments are non-refundable and non-transferable. If taking something out of your package at a later stage, you will lose your deposit paid on those items. 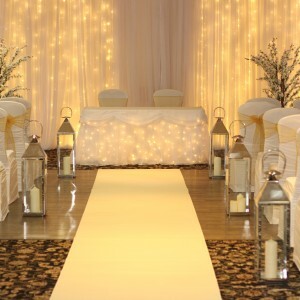 Booking a ceremony package for a different location a delivery charge may apply. We can help to create a unique package if any of our pre-made packages don’t suit you. Additional numbers required are charged at £5 pp. Need to upgrade your package to a larger floor, or backdrop please let us know.